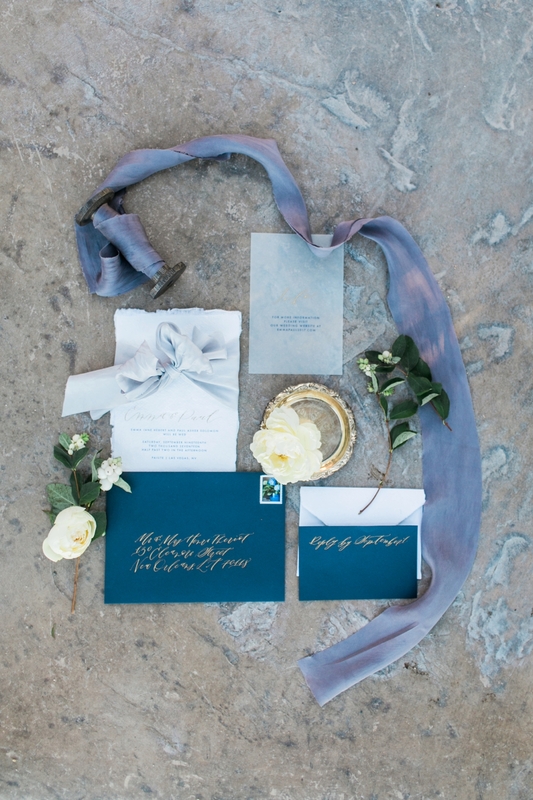 Blue is the star of the show in this styled shoot planned by I Do Details. 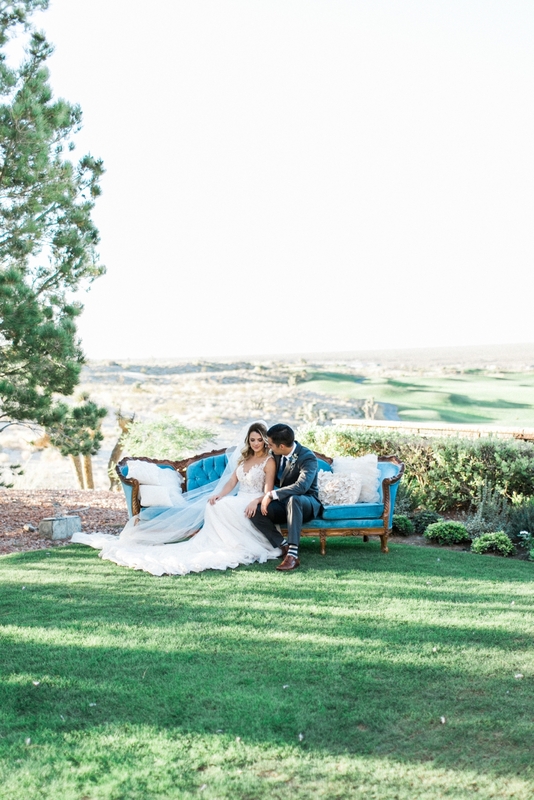 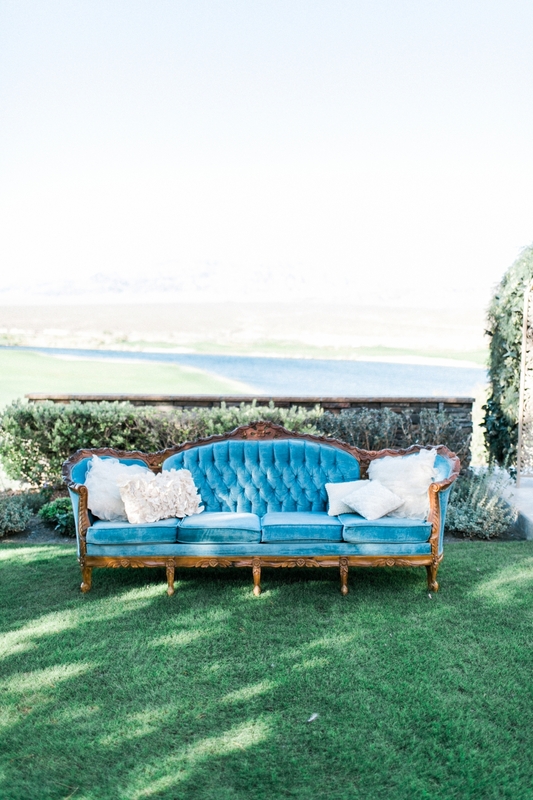 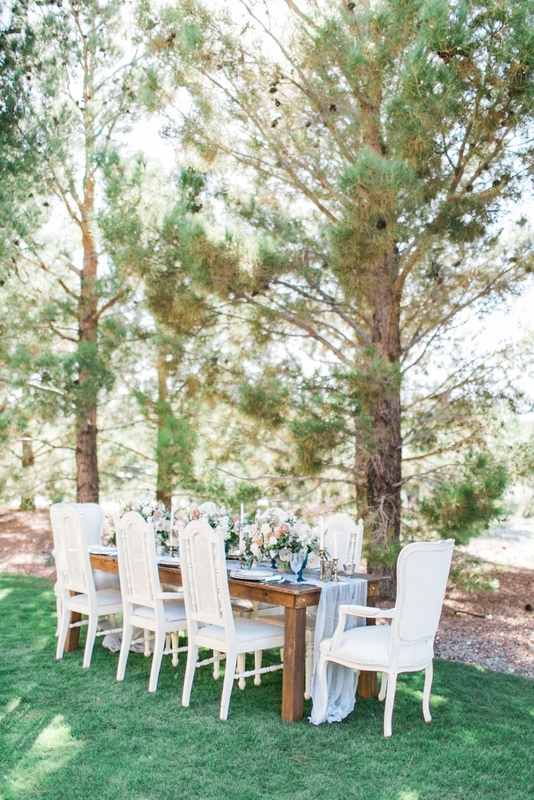 French blue, dusty blue, sky blue, dutch blue—they’re all represented in the romantic garden design at Las Vegas Paiute Golf Resort. 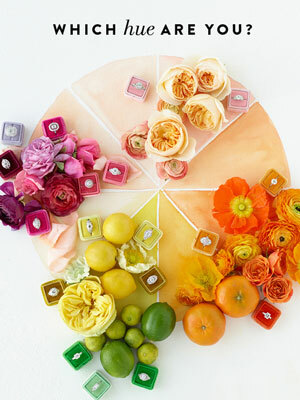 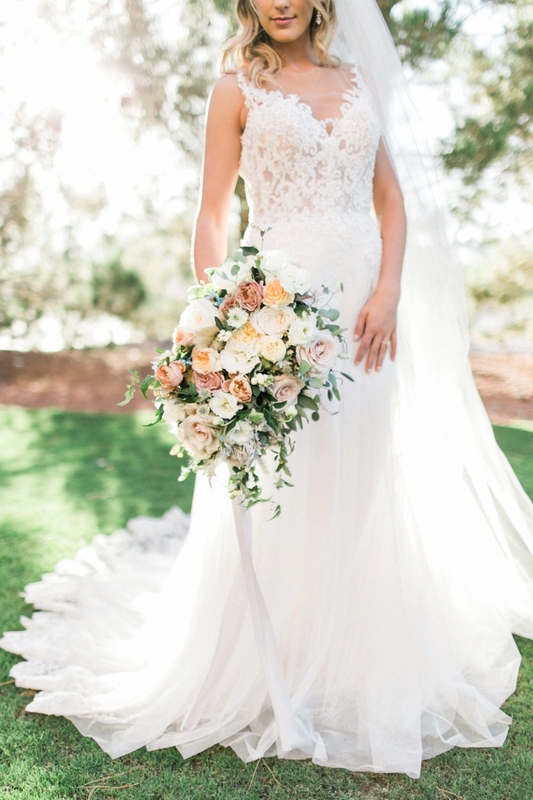 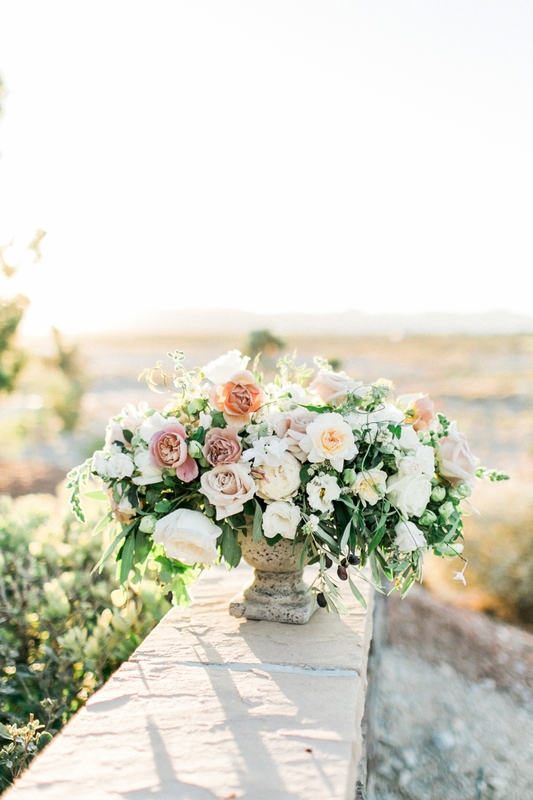 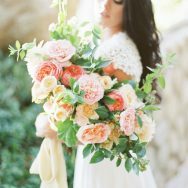 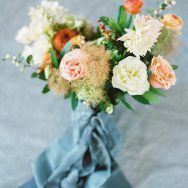 City Blossoms incorporates a mix of garden roses, hellebores, lisianthus, snapdragons, olive branch, Eucalyptus and jasmine vines in a dusty peach palette making the blue Silk & Willow‘s raw silk bouquet ribbons and table runner pop. 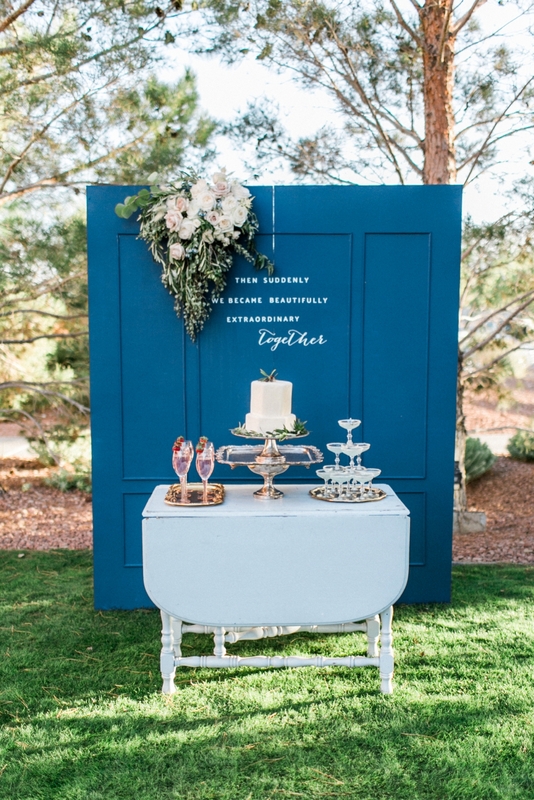 A painted backdrop by Starry Eyed Events and tiered hexagon cake by Peridot Sweets add graphic flair while watercolor stationery by Ebb & Flow Ink adds whimsey. 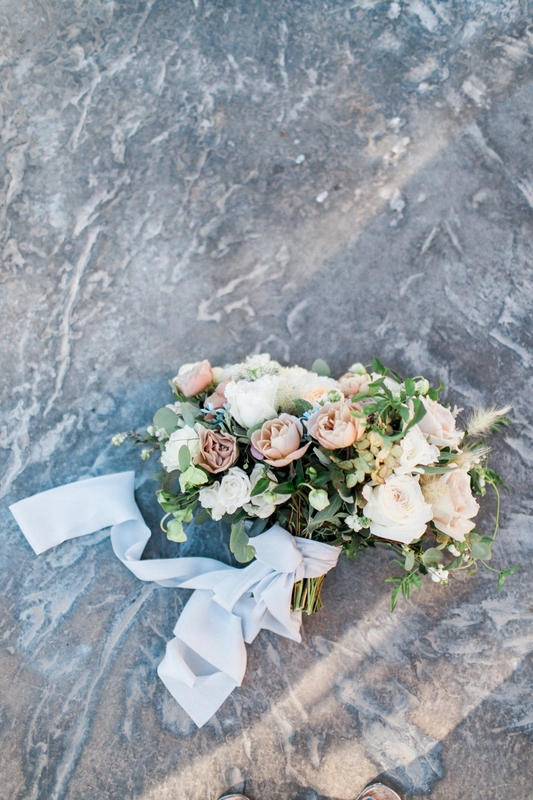 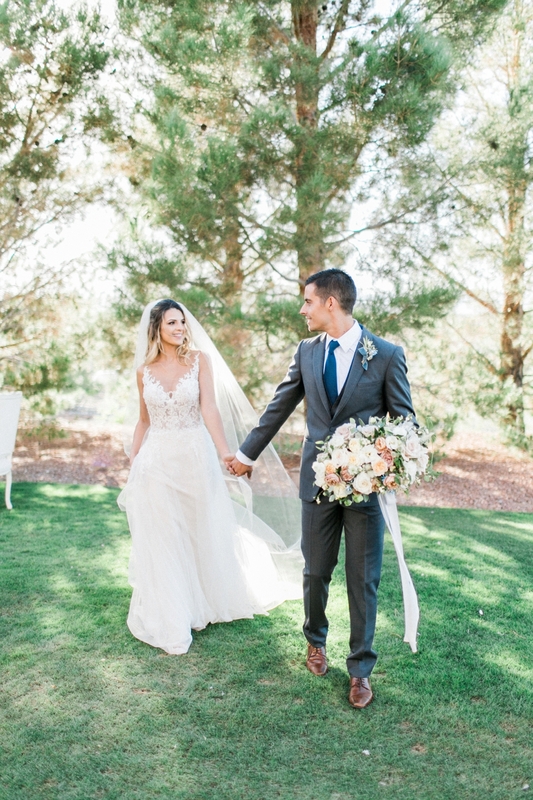 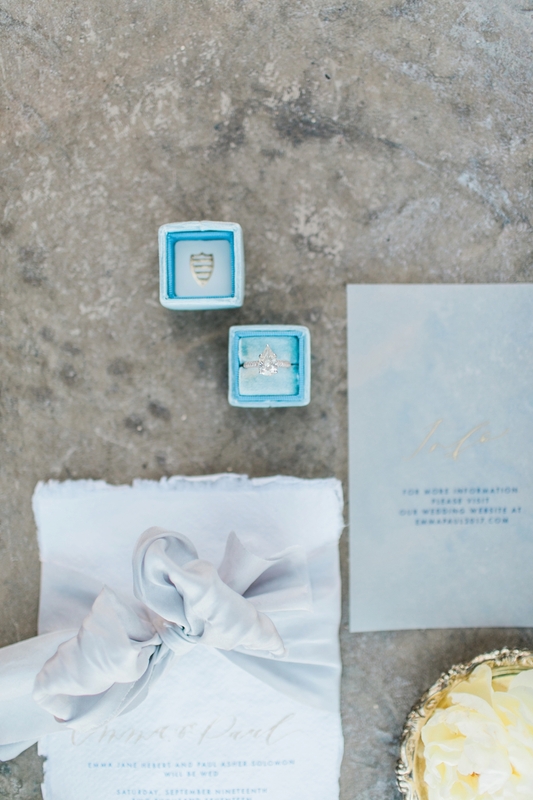 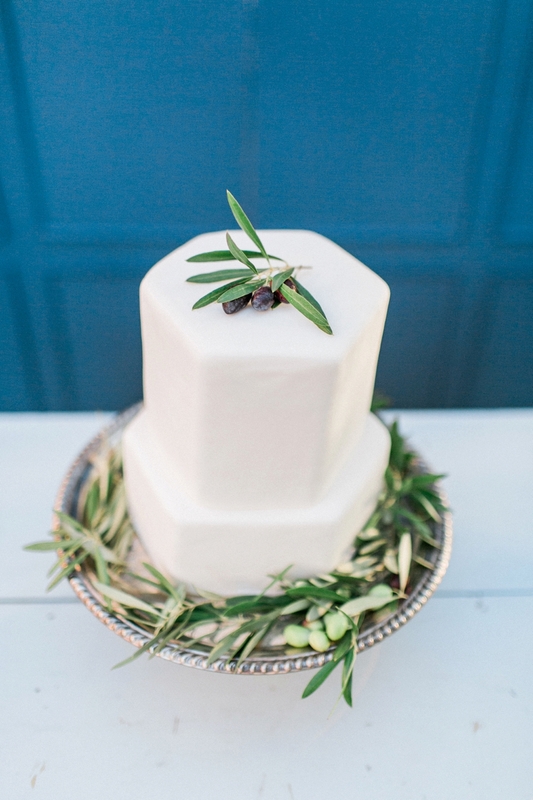 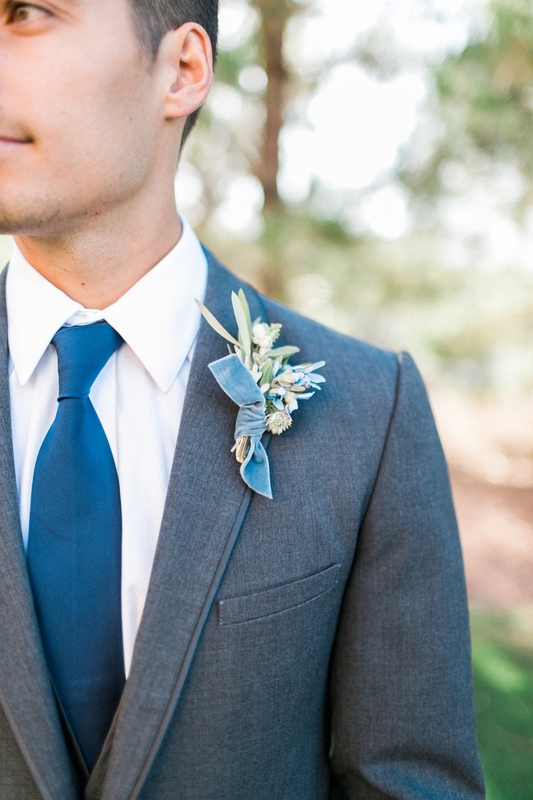 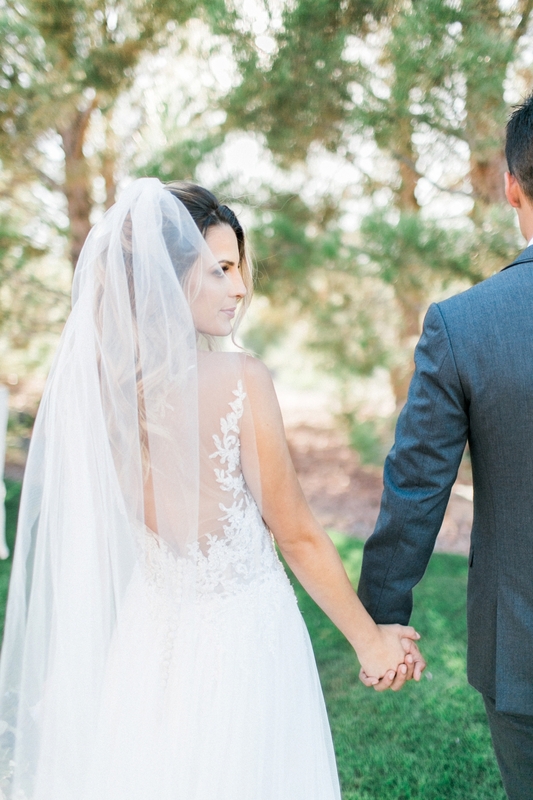 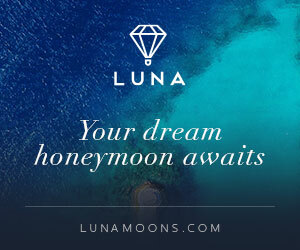 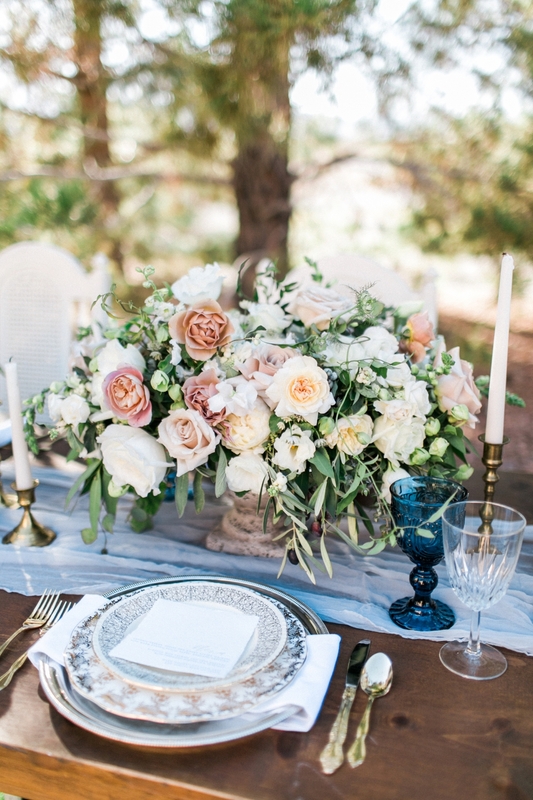 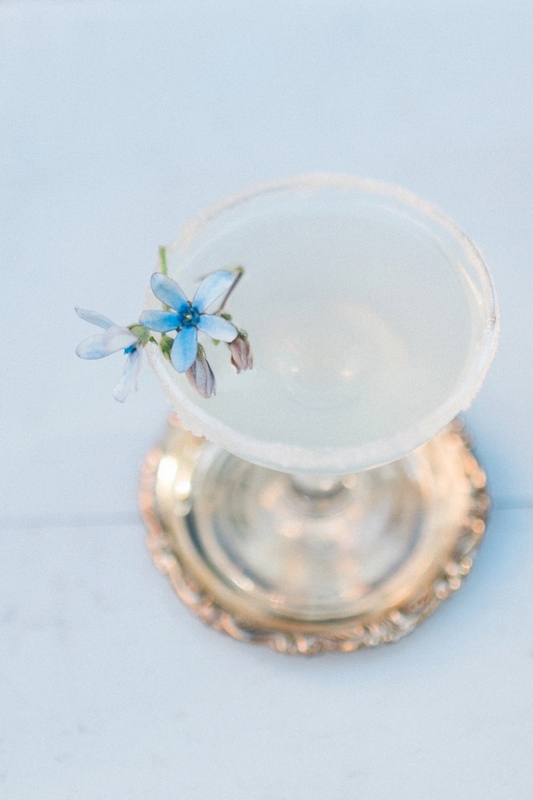 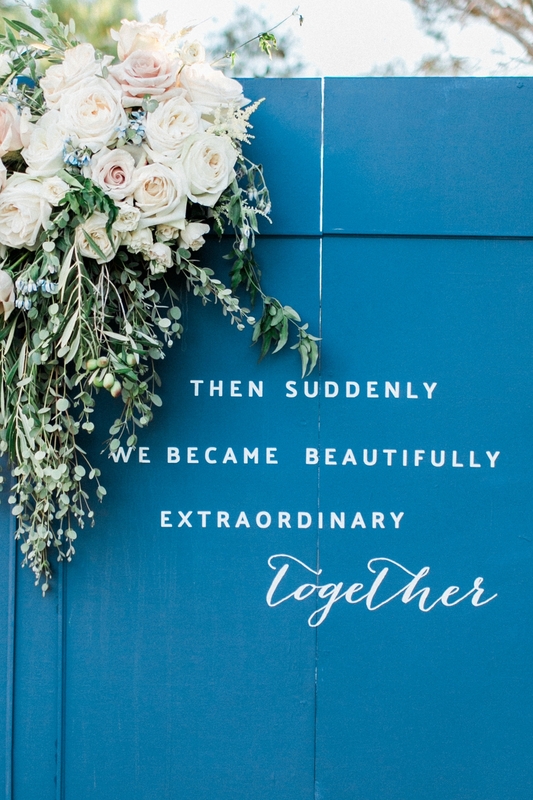 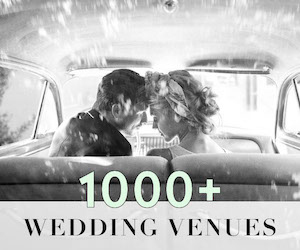 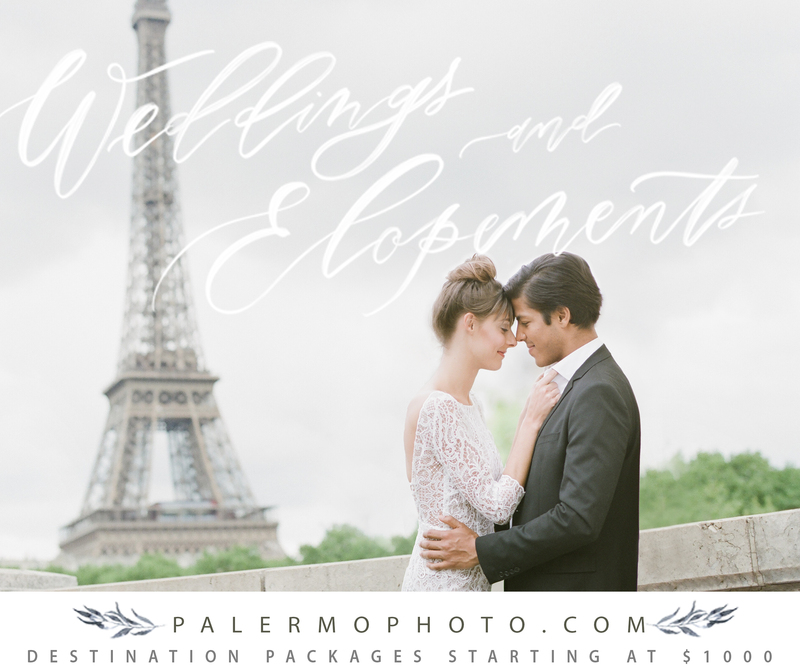 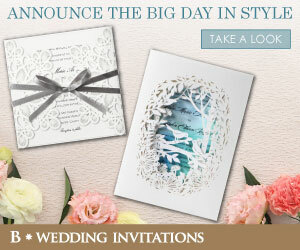 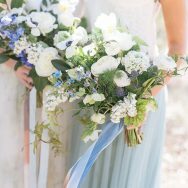 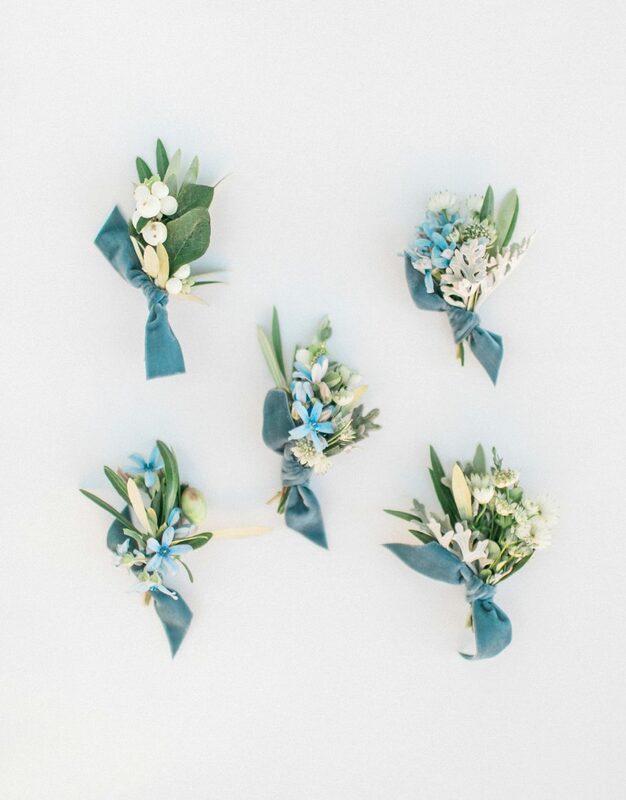 Lucky for us, Lianna Marie Photography was on hand to capture all the blue beauty in these lovely images.